Christian Dating Tips: Am I Relationship Material? Am I relationship material? Sometimes getting into a relationship can be easy but the decision of whether or not you should can be is a tricky one. For those of you that don’t know, I have a teenage daughter and there are certain signs I wanted to see in my daughter before she would be allowed to date. One of these signs was for her to be emotionally stable (stable meaning healthy, strong, bearing fruit from the Holy Spirit). If you happen to be wondering if she is emotionally stable, yes she is. I just knew this had to be requirement before I would allow her to affect someone else’s life especially during the teenage years because that’s an age where foundations are built. Well, what does this look like? We will get into that in a moment but for now I want you to ask yourself this question, “Am I emotionally stable for a relationship?” Some of you may already know the answer, some of you might not, and some of you may not even care but I want you to really take this time to step outside of yourself and take a look within. It’s important to know because you are affecting someone else’s life when you choose to date. It’s an investment and an exchange between two people. The question is, what are we exchanging and is it healthy? (Okay so maybe there are going to be more than 5 questions to ask yourself..way more..loll!) As followers of Christ, we want people to experience life with us as a way to bring them closer to God and not pull them farther away from Him or question His existence altogether! When I say, “emotionally” I want you to understand that emotions aren’t the problem. We are emotional creatures. God gave us emotions as part of our nature that in turn resembles His nature (Gen. 1:27, Gen. 5:1). However, not being in control of our emotions can be destructive. Like a tornado, uncontrolled emotions can create a path of destruction that can either ultimately destroy relationships with those around us and take years to rebuild. If my daughter weren’t emotionally stable, I would not allow her to date. The reason being this, I would not want to put on somebody the responsibility of her emotional health because they could not fulfill her need. Only Christ can do that. I’m not saying that they shouldn’t try to make her happy because that’s not their “responsibility”. What I’m saying is, if she is internally emotionally bleeding its not in their expertise to fix it. Again, only Christ can do that. This leads to my next question, “Have you accepted Christ into your life?” If the answer is yes, then you need to release the excuse/reason of, “Well this is just the way I am…”. When we accept Christ, we are a NEW creation (2 Cor. 5:17, Eze. 36:26). This means we are called to start again. We need to start thinking and acting differently. Even in the area of mental illness (however that may affect you, emotional trauma, PTSD, anxiety attacks, etc. ), it is in the power and authority the Lord Jesus Christ gave us, to seek out help, find ways to start winning in that area of our life, and be reminded that God makes all things new even the scars in our mind that people don’t see (2 Peter 1:3, Philip. 2:12-13). If you haven’t accepted Christ, what’s holding you back? I recommend bringing those questions/reasons with a respectful heart before the Lord and ask for Him to help you and bring people around you who can help answer those questions. Are you Christ-centered? Are they Christ-centered? You may get tired of me bringing up Christ but the reality of my job is to turn your eyes to Him. The reason being, He is God, He loves you, He is where all blessings flow, gives you the strength, sight and discernment (being able to tell judge well or obtain sharp perceptions as per google), and when everything fails, relationships, dreams, He will ALWAYS be your constant. He can handle all your emotion because He is God not someone else. We as humans are unable to be someone’s God. We will always fail. We also have to remember that He is concerned about the other person’s emotional health as well so if we aren’t being good stewards of other people, He will take them out of your life. Are you able to think for yourself? Are you firm with your convictions (meaning those things that are really important in your life…like God?) Do you have your own opinion and are not afraid to voice it (with gentleness and respect of course)? Do you have activities YOU like to do? Are you okay with just being by yourself? These are important questions because when you are constantly swayed by people’s opinions then it could put you in a dangerous situation. For instance, like keep you in an abusive relationship including sexual, emotional, and physical. Learn who YOU are first before getting involved in a relationship and how to be on your own. Remember, it doesn’t matter who you are with because you will still be there so if you are in relationship after relationship wondering why things aren’t working out, it may be something YOU need to work on. There is a great freedom in being able to walk this world as a single person in peace where God has you. What kind of fruit are you producing? “But the fruit of the Spirit is love, joy, peace, patience, kindness, goodness, faithfulness, gentleness, self-control…” (Gal. 5:22-23). These are all healthy traits of someone who is emotionally stable. Do you have a warm and inviting spirit or do people tend to run in the opposite direction when you’re around? Don’t get me wrong, there’s nothing wrong with a little spice (my husband calls me Puerto-Rican Spice for a reason) but it should only enhance these other traits and not take away. With everything there must be balance only found in walking with Christ. 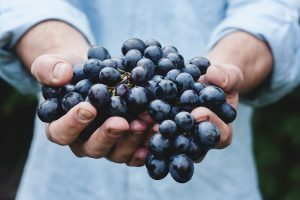 Look for the fruit in your own character or ask someone to be your mirror and help you adjust where you need to (you do NOT need a boyfriend or girlfriend for this…try a trusted friend, family member, mentor, Pastor, you get the point). Take a look around at your life but don’t get discouraged, get motivated to start doing better. It can be done! Do you have a standard or do you just say “yes” to WHOEVER will show you attention? The purpose of a relationship isn’t to make YOU the center of the universe. I suffered from this and I ended up just using people for my own needs. A relationship consists of two people who look to each other to fulfill an intimate yearning placed there by our Creator (Gen. 2:18). It’s to tangibly feel on this earth what our Creator feels for us and in this process we are made better individually (if it is healthy and you honor this relationship according to God’s decrees…see Psalm 119:9). However, with someone who is emotionally unstable, a relationship tends to become a numbing device, band-aid for a gaping wound, comfort blanket, you name it. Heal yourself first and ask God for direction when you want to take the next step. Is there anything else you can add to this list? Are there other traits or milestones you feel you need to reach in order to become emotionally stable? Do you feel you are emotionally stable and find this as affirmation as to maybe taking the next step with someone? This list isn’t the end all list of questions for this topic. Spend time with God and ask Him if there is anything HE would like to add on! Pay attention to anything pops up even if it doesn’t make sense at first. He will lead you in the right direction. 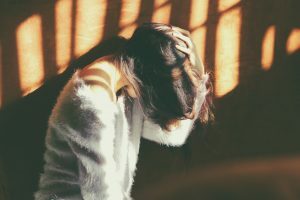 Now if reading this article, you find yourself falling under the emotionally unstable category this doesn’t mean you are going to be single forever or there is no hope for you (with Jesus there is ALWAYS hope…praise God for that). It just means you may need to take some time to sit with your Creator and allow Him to speak into those places that are broken, sad, depressed, maybe suicidal, scared, anxious, or whatever “the hurt” looks like to you. It’s worth your future to pause life in relationships and work on you while still keeping your eyes on Him. I pray you will find healing and restoration in all the areas needed. I pray you realize we are not perfect and perfection isn’t a prerequisite for entering any relationship but we all should be aware of those areas that can be destructive and tend to the most needed areas first. I pray you will hear God in every step and be sensitive to the time when you are given the okay to move forward. I pray all of this in the Mighty Name of Jesus Christ, amen!